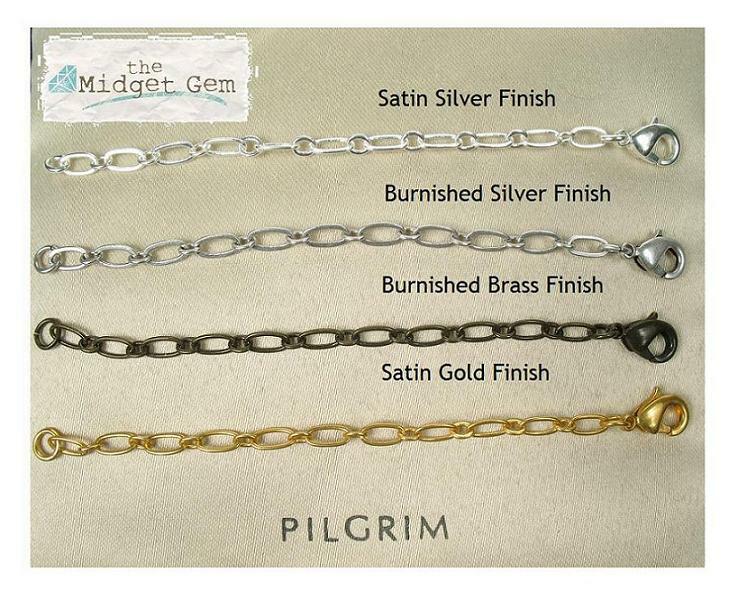 Pilgrim metal plated extension chains. Four plate finishes available: gold, satin silver, burnished silver and burnished brass. The extensions measure 9.5cm/3.75 inches in length. Suitable for most standard sized necklace clasps.